Spring is in Seattle already! 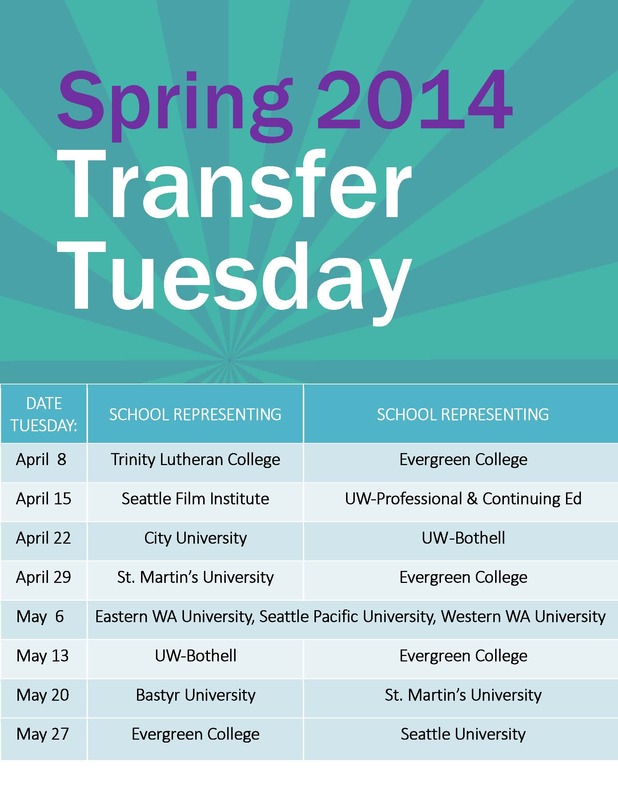 It is never too early for Shoreline student to plan their transferring to four year colleges and universities. This spring quarter, we invited 12 schools to meet our international students, including University of Washington, Seattle University, Western Washington University, Seattle Pacific University and more. Check your dream school on the following flyers and come to International Education office every Tuesday from 1:30 to 3:30 p.m.